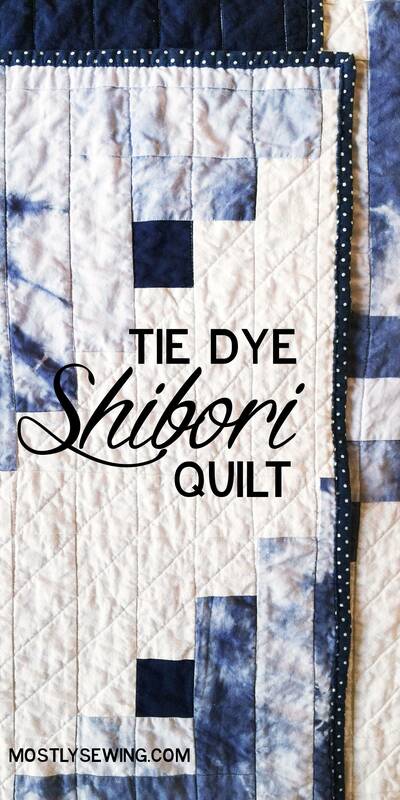 Finished Shibori Tie Dye Quilt! 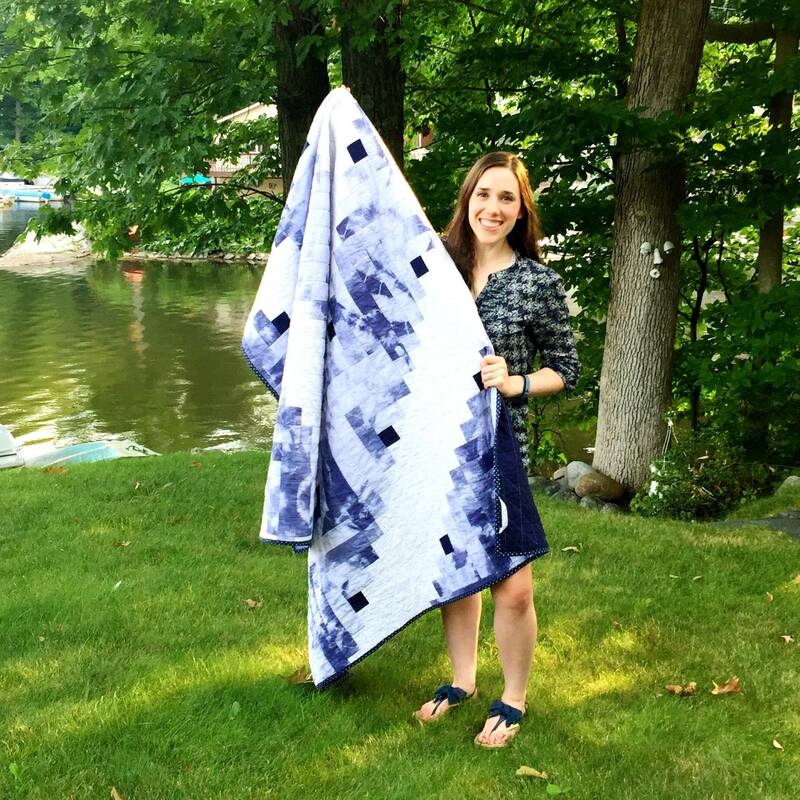 Happy to announce that I finally finished my Shibori Tie Dyed quilt! 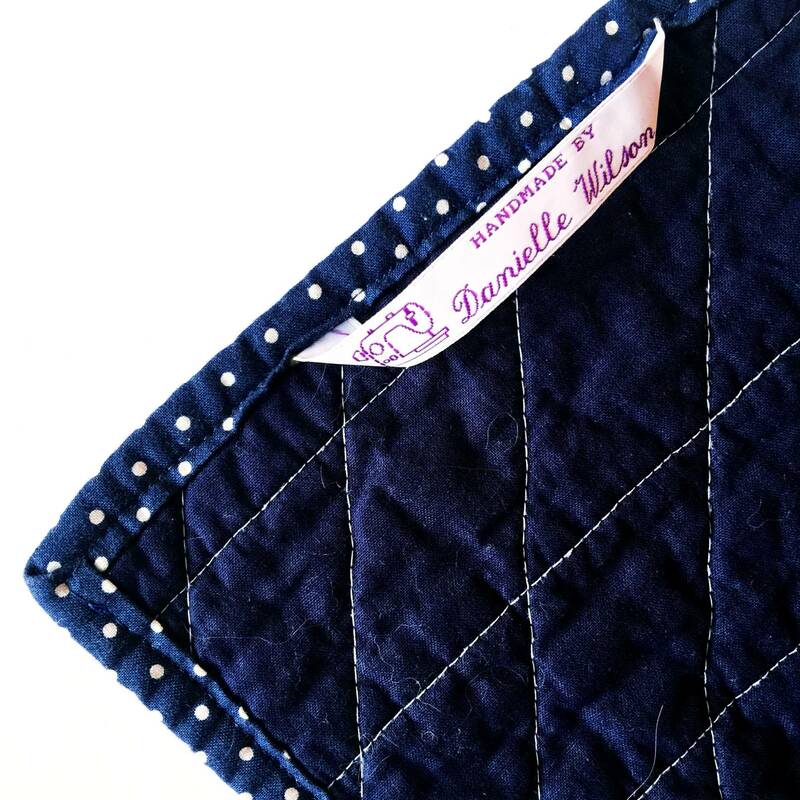 The blocks were sitting on my sewing table for months, and I realized I had scheduled a brand new quilt for today’s post. I said, “NO, let’s finish this one FIRST.” Take that procrastination! 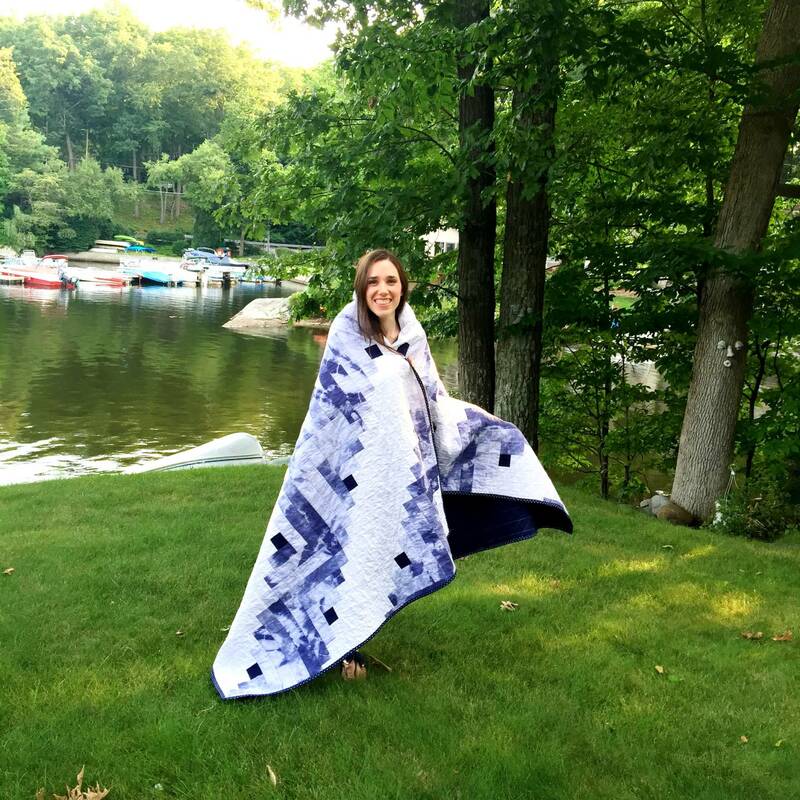 In case you missed the first few posts on this quilt, check out the links below! 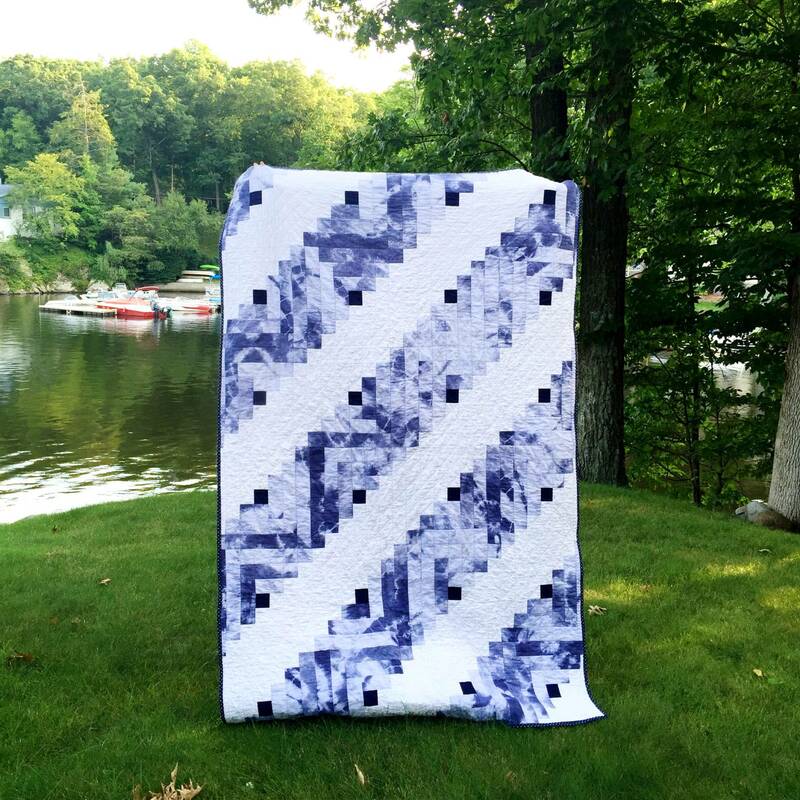 I’m so happy with the results of this quilt. 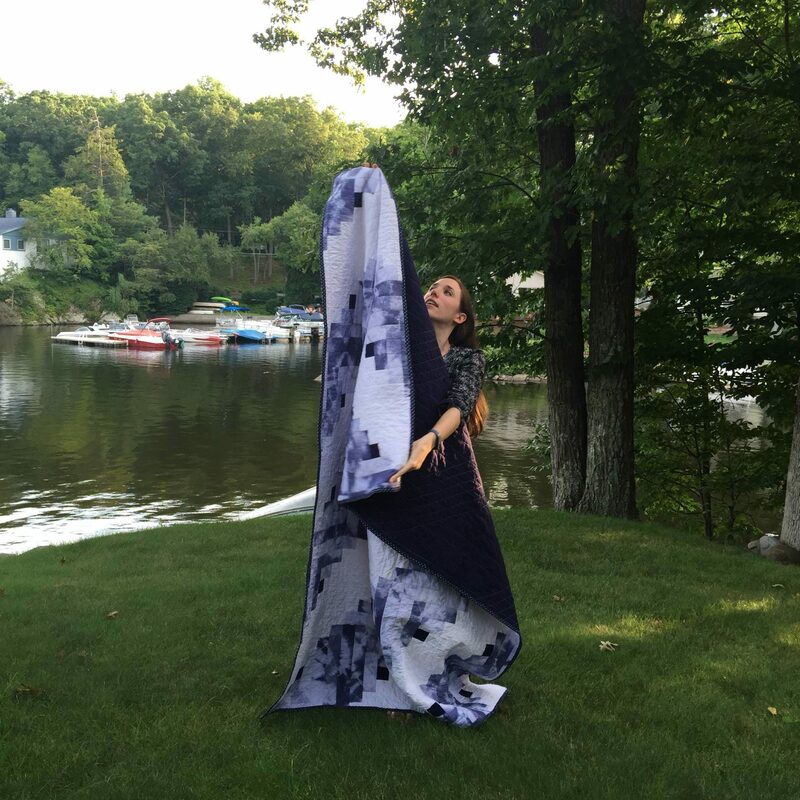 My family is a little disappointed because it doesn’t have a minky or flannel backing… but let me tell you – it’s so much easier to sew normal fabric on the back of a quilt! It’s been a while since I’ve done that! First of all, you all know that I’m obsessed with the log cabin block. 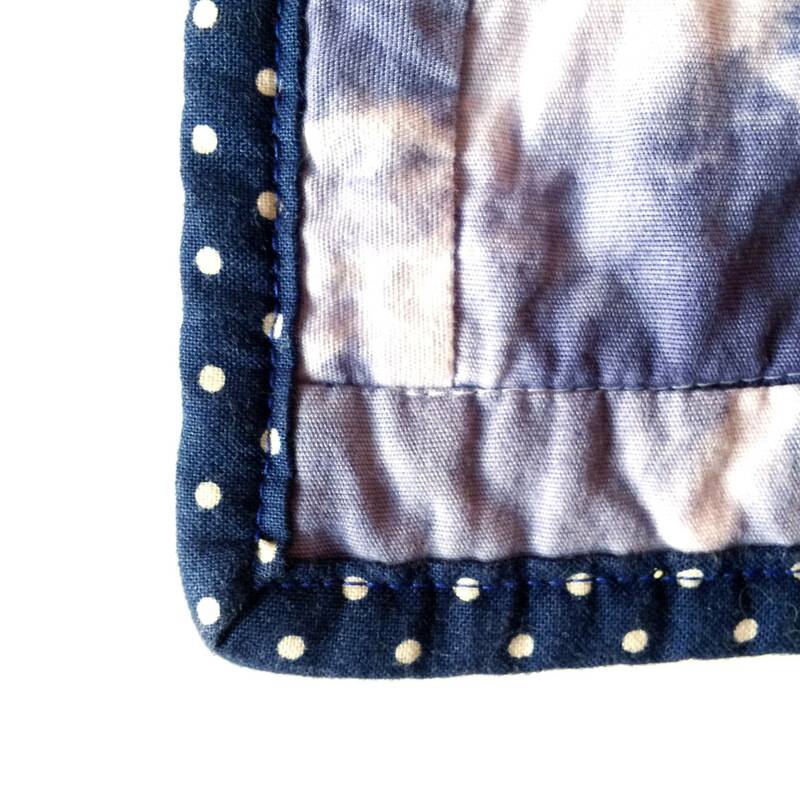 So simple and fast, but it really displays the fabric well. 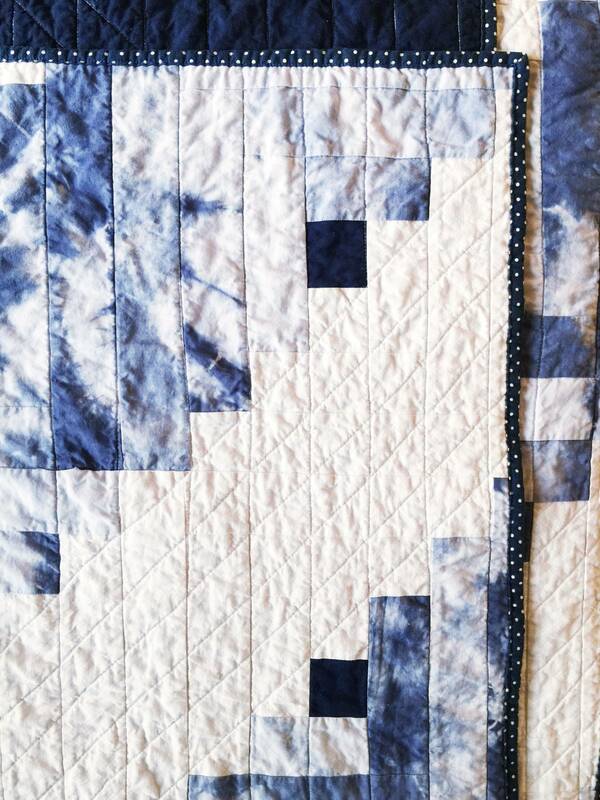 I also love mixing the modern aspects (negative space, straight-line quilting, TIE DYE) with a traditional pattern. 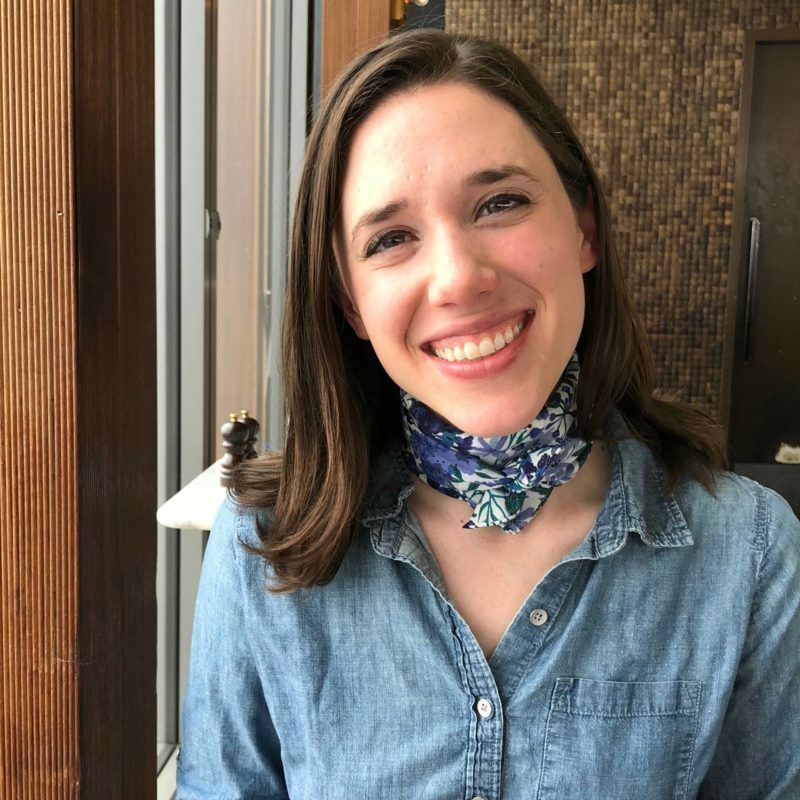 Let’s talk about binding: I hate it. BUT this time I made bias tape and sewed both sides at once. SO MUCH EASIER. My corners are almost perfectly mitered. 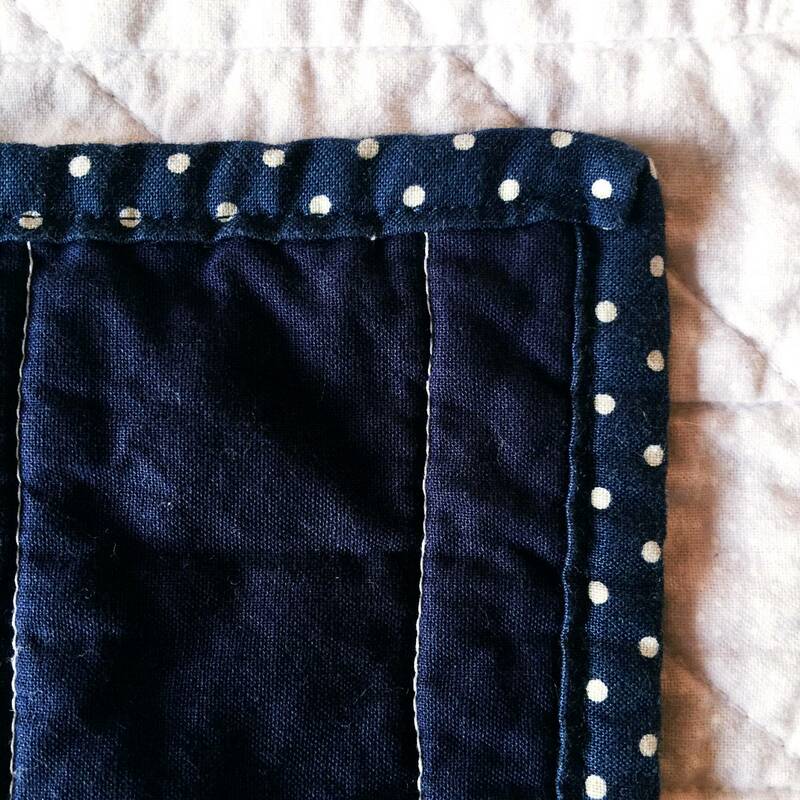 It takes half the time, because I’m only sewing around the whole quilt once. Never going back. And don’t you love my little “Handmade by Danielle Wilson” tags? I put them on everything! Maybe I should add the year somewhere for reference? At least I have this blog to record when I made everything! Previous Post We went to Mood! I'm Danielle. 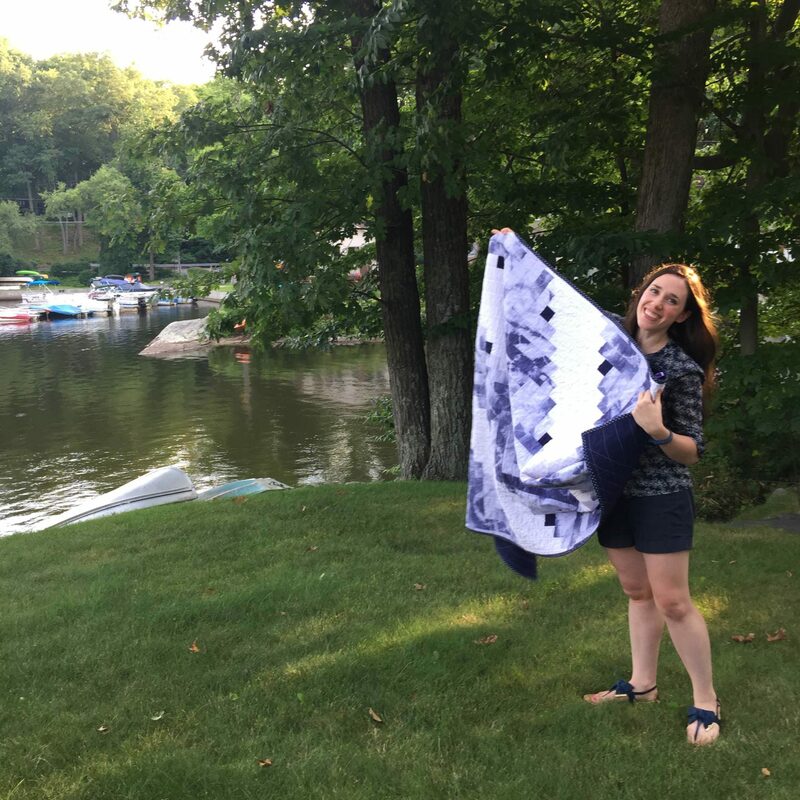 If this is your first time here, check out the About Me page below, and visit my archives for tips on creating a handmade wardrobe and home. For behind the scenes photos, follow along on Instagram & Snapchat. Thanks for visiting!